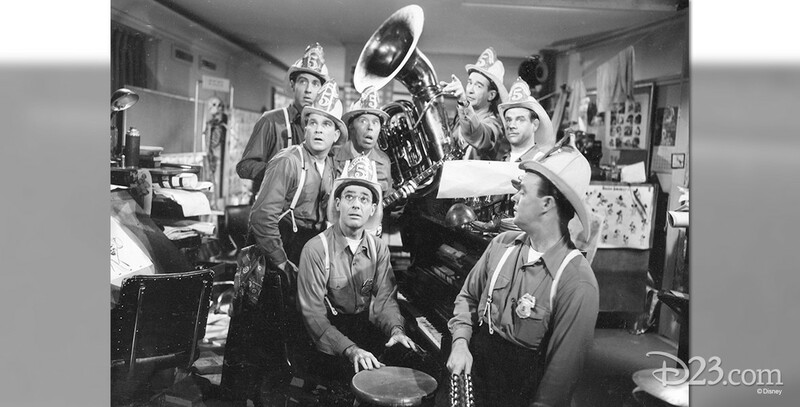 Firehouse Five Plus Two Dixieland jazz group composed of Disney Studio personnel that evolved from bands created to play in camp shows during World War II. Led by Ward Kimball, the group appeared on television in At Home with Donald Duck, The Disneyland Tenth Anniversary Show, and the Mickey Mouse Club (Fun with Music Day). Other members included George Probert, Frank Thomas, Harper Goff, and Eddie Forrest. The group was caricatured in the Goofy cartoon, How to Dance. They had a catalog of a number of phonograph records on the Good Time Jazz label. The group was disbanded in 1971.